Recently, I was thrilled to participate in the Perfectly Imperfect series on Trend-Able during Invisible Disabilities Week (October 14 – 20). Being featured alongside Jessica Marie of Eyeliner & Empowerment and Diane of Spoonie Living was the highlight of my week. The creator of Trend-Able, Lainie, is a fellow advocate and warrior with a powerful message on disabilities. When you have a moment check out: 3 Chronically Awesome Bloggers To Know. Did you know 96 percent of people who have a chronic illness live with an invisible one? 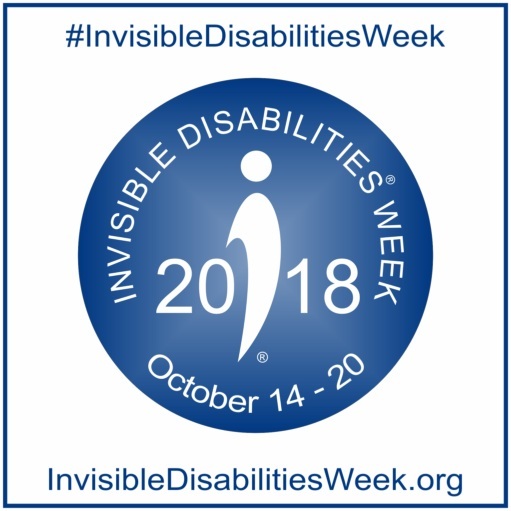 * “In 1997, there were 26 million Americans considered to have a severe disability and only 7 million of them use a wheelchair, cane, crutches or walker (U.S. Department of Commerce).”** What this essentially means is there are no obvious signs of an invisible disability. Many personal challenges, I face as a person living with an invisible disability, are mainly misconceptions within society. Even in 2018, most people still believe blindness is seeing or not seeing, for them it means total darkness. When blindness is, in fact, a spectrum disorder. Contrary to popular belief, blindness is not always obvious. What I find interesting is how many of us who live with disabilities find strength in acceptance and choice. We know we cannot control our disabilities, yet each day we choose to power through. Though we might have different conditions, we empower others by accepting our conditions and realizing the power of choice. You are always such a wonderful role model for courage and acceptance. Congrats on being featured! Inspiring. Well stated. I spent the first 21 years of my life with an invisible disability, trying to function as a legally blind kid in a sighted world. I’ve had guide dogs since then, so it’s not invisible anymore. Frankly, I don’t know that it ever was. I think sometimes that everyone knew but me. Now, at age 68, I have health issues that probably qualify. Each day that you “power through” and write about it brings strength to my spirit and influences my choices. Keep writing!